The English word “anchor” comes from the Latin word ancora and its Greek cognate ankyra meaning “hook or anchor.” As a noun, anchor means the anchor on a ship. As a verb, anchor means “to fix or secure in a particular place.” Anchors have been a crucial part of man’s existence since…he started exploring the oceans around him. 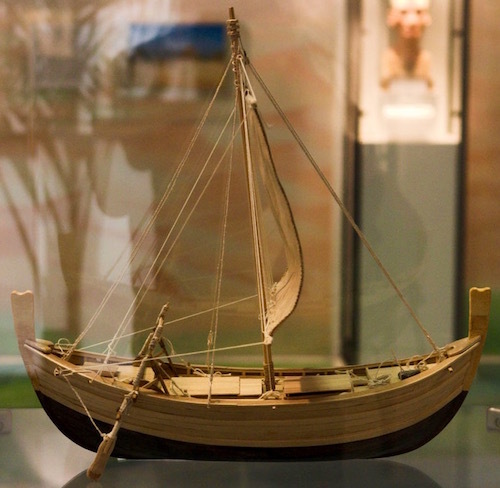 The oldest known sea-faring hulled boat, dating to c. 1300 BC, was discovered off the coast of Uluburun Turkey in 1982 by sponge diver Mehmed Cakir. In ancient times there were two ways to travel—by land and by sea. If one traveled by sea in a ship and reached the desired port, an anchor was dropped overboard to secure and to fasten the ship to the bottom of the ocean, lake or river. 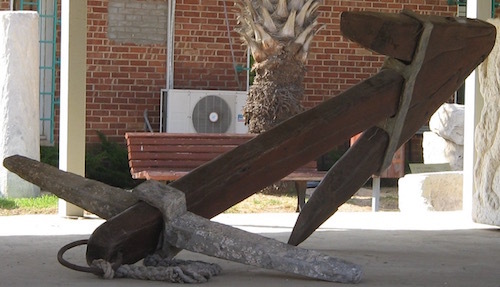 Wood anchor with lead plummet and clamps, found in the ancient Israeli port city of Ashkelon on the Mediterranean coast. 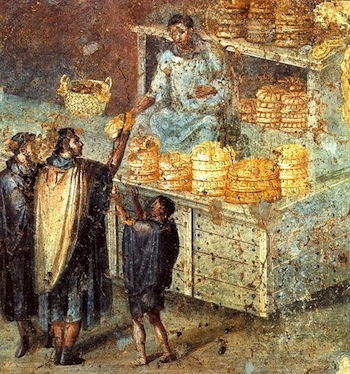 Dated to the Hellenistic-Roman period. 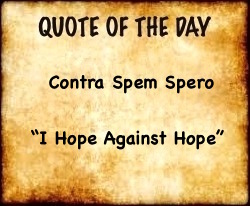 The hope was, of course, that the ship, so anchored, would be there when needed again. 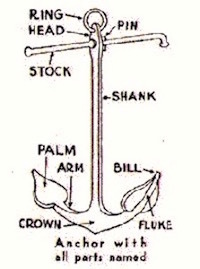 A “sea anchor: aka a “drift anchor/boat brake” is thrown overboard in a storm in order to stabilize a boat by increasing the drag through turbulent waters. 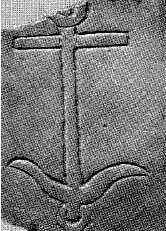 In early Christian iconography in the Roman catacombs (c. late 100-400 AD), one often finds on the tombs of the dead Christians an anchor as a symbol of their firm hope in an eternal life with their Savior. Because early Christians were persecuted and had to hide their faith in Christ, their iconography became quite rich in its use of symbols. The anchor mentioned in Hebrews 6:18, 19 provided just another way to express their faith. Christ was Ichthus, the Fish, the Fisherman of people and Christians were “little fishes,” Christ ones,” followers of Christ. This engraving (above) combines the Anchor, Fish symbol and the Ichthus. In addition to the anchor being a symbol of terrestrial and eternal HOPE, the shape of an anchor simulates the shape of the Cross upon which Jesus died for our sins. 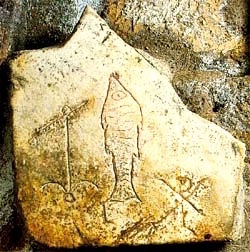 Here in catacomb art (below) we find the anchor, the cross, the Ichthus and the Christians as Little Fish, “Christ ones.” As can be observed, the anchor can be enriched by adding other Christian symbols to it or surrounding it. Left from the Catacomb of St. Sebastian another Christian symbol, the Chi Rho on the right, is carved into the rock along with the fish and the anchor. 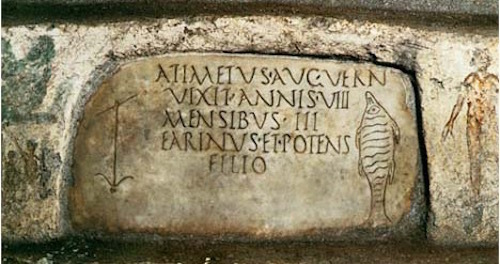 Christian Roman epitaph of Atimetus from the catacombs of St. Sebastian on the Via Appia, Rome. Inscription flanked by two Christian symbols, an anchor and a fish.